With no apologies to "Mayor Flip-flop Garcetti", the LA Times maintains its Editorial Standing behind Cindy Montanez for CD 6. "Exceptional" is better than "Adequate" for CD 6. The LA Times just provided a tepid, flip-flopping Mayor with a "teachable moment" about remaining true to "Exceptional Leaders", as they renewed their support for Cindy Montanez's CD 6 City Council Campaign, while noting the "Adequate Qualities" of current Officeholder Nury Martinez (Guzman), as excerpted below . However, adequate isn't enough. Montañez would be better for the 6th District and for the city as a whole. She has an encyclopedic knowledge of state and local government. In her 20s, she served on the San Fernando City Council, where she helped preserve historic buildings as part of makeover of the city's downtown — which could be a model for overhauling drab Van Nuys Boulevard. At 28, she was elected to the state Assembly, where she passed significant consumer protection, environmental and infrastructure bills. 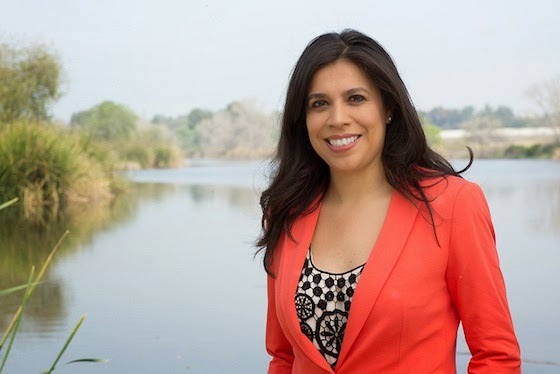 She later served on the L.A. Planning Commission and worked as a government affairs consultant for the Department of Water and Power — giving her hands-on experience with two of the most complicated and contentious agencies in the city. Plus, an "exceptional mind" would have conceptualize that "Disco Party Smoke Machines" and City Hall Offices, are not a good match. We'll deserved criticism of all the flip flopers!